I relaxed my hair myself at 18 weeks post relaxer and it was a lot tedious than I imagined. I’m officially a DIY relaxer girl *throws confetti*. The night before my relaxer I put my hair in four sections and sprayed my new growth with Mane n Tail detangler and combed with my wide width comb followed by a smaller teeth comb to get all the tangles or knots out. I did this because I wanted to be able to part through my hair while applying the relaxer to my new growth only. I applied Vaseline on my scalp, tied down my hair and went to sleep. I was hoping for some texture and not bone straight results. Correction & Conditioner on the length of my hair. Since this is my first official time being a DIY girl I decided to add 1 table spoon of EVOO to attempt to weaken the relaxer and buy myself some more time to finish my entire head. I started at the right hand back corner and by the time I finished the back I started to feel alil tingle on the right hand side. I sprayed the area with hair spray and started working through the top right corner. As I began on the last section of the left front side the tingle became abit more. I worked quickly and managed to barely comb through each section once. I checked the time I realized that it took me 27mins to get through my entire head and the relaxer was left on the last section for under 2 mins. My hair dresser normally takes 12-15 mins for my whole head and I was hoping to be finished within 15-20mins but that didn't happen so, I hopped into the shower and rinsed my hair thoroughly. Applied Aphogee 2 min reconstructor for 3 mins and rinsed to add back some strength. Shampooed with Motions Neutralizing Shampoo 3 times and rinsed. Neutrogena Triple Moisture Deep Recovery Mask for 30mins under my heat cap. Wrapped my hair in a tshirt for 10mins. Protector and Aphogee Keratin & Green Tea Restructurizer. Once my hair was dry I combed down my hair to see what progress I had made. I chose to wrap my hair for a straight look rather than flat iron because I still don’t own a flat iron *weird right* and the thought of all that heat scares me honestly. Due to the amount of time the relaxer was left on the back section most of it came out bone straight but I’m hoping for alil reversion after my first wash day. 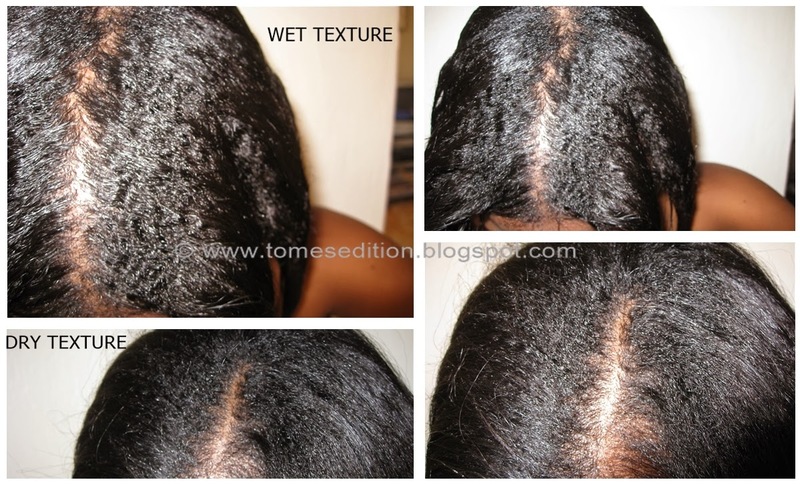 The area that I applied the relaxer to last has the most texture but its still manageable. I’m happy with the results I got and I’ll definitely be relaxing my hair myself again. Next time I’ll try to work faster if not I may have to do my hair in two halves so I get the same results all over. Strangely enough I got no burns *yay me*. My only complaint is my hair was extremely dry after I came out of the dryer, which was strange for me and I’m not sure what contributed to it. It looks like I’m grazing Armpit Length (APL) once again and I did dust off ½ inch all over myself. Here are the results: Sorry about the quality I was working with my 10sec timer. 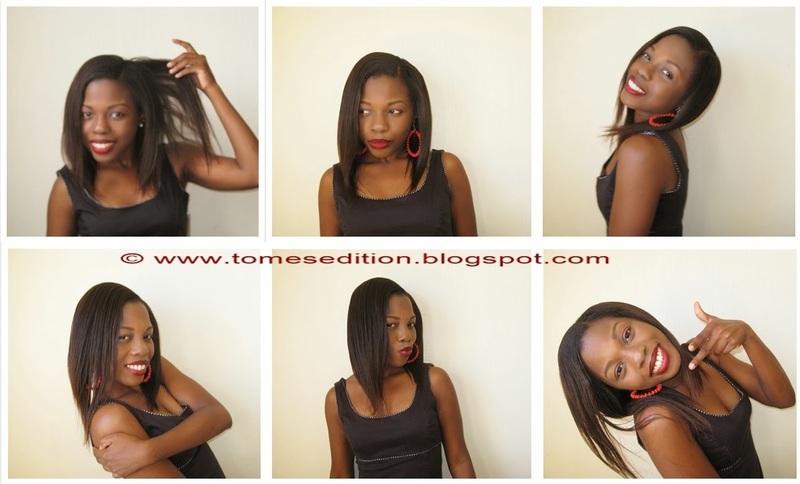 Three days later I wasn't satisfied with the outcome of the pics as some looked blurry so my mom assisted me. 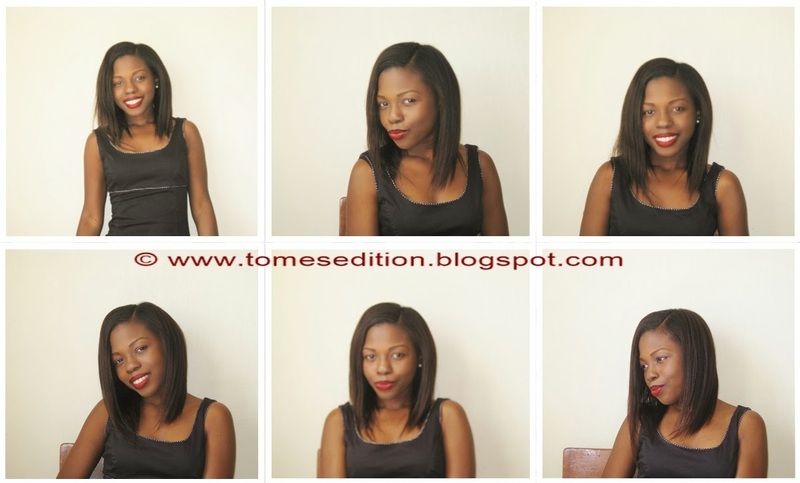 Have you relaxed your hair recently and how did it go & How did I do on my first DIY relaxer? WOOP WOOP!!!! *Twirls through confetti* congrats on becoming a DIY relaxer! It looks SO good! I love it. And your hair looks so healthy and full! Great job! You did a great job and your hair turned out very pretty. Well done! 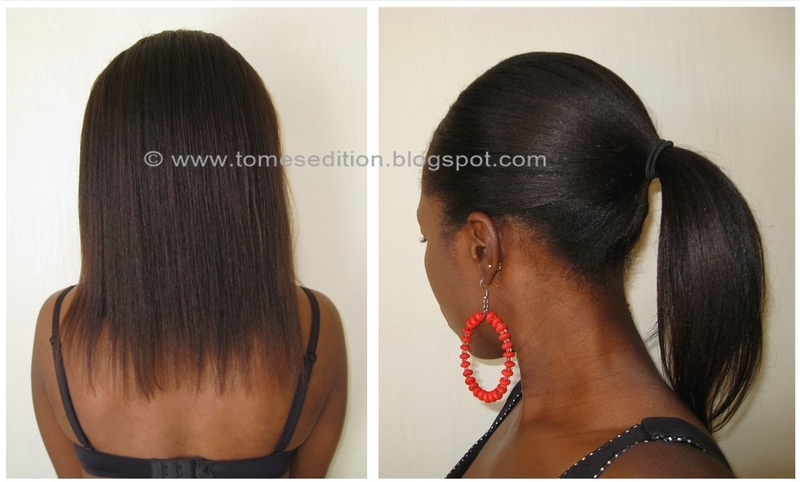 Wow, you did such a good job with your relaxer and your hair is looking so healthy and long. You are definitely grazing APL, woop woop. I am impressed that you don't own a flat iron and your hair looks that straight, I need to learn that method. I used to be afraid of heat like you for over a year but now I do it once every 2 weeks and it's not too bad :). I am still scared of self relaxing but I would love to get there one day. Yaaay!! Great job on your first self-relaxer! Your hair looks really nice, too! Great job Tomes, hair looks healthy. Do you know where i can get a bottle of the Jamacian Castor Oil? Thanks everybody, really appreciate it. Well done!! I think the first time DIY is scary but you did it like a pro! Your time will only get better as you do more touch ups. The half and half will definitely give you more time and give you more texture. I love adding oils into the relar it definitely helps with extra texture! Your hair looks really thick and healthy! You are definitely APL!! Well done on your DIY, your hair looks great! Good job. I would NEVER be able to pull of DIY relaxing. I'd be DIY BALD at the end of the ordeal. However, I did go get my hair permed the other day, bone straight for the very first time. EEEEP! I'll be paying a lot more attention to your relaxed tips. 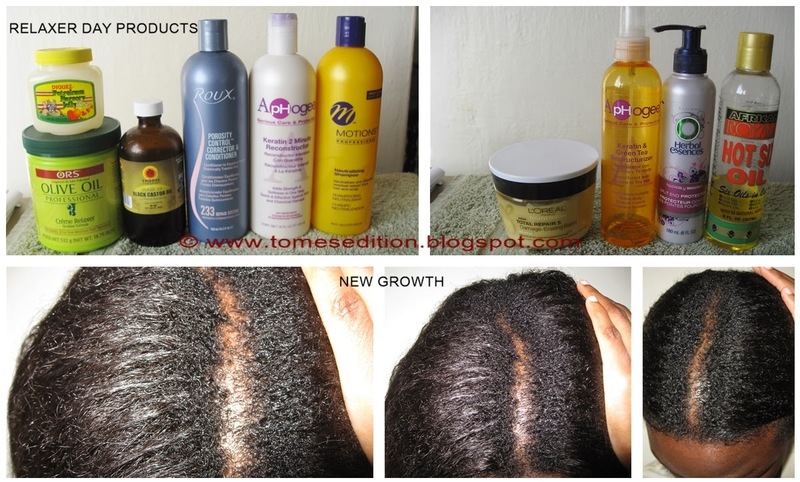 You did a great job with your relaxer. Looking good! You guys rock! Thanks for the suggestion Candice, will definitely try that next time. Will surely save time.